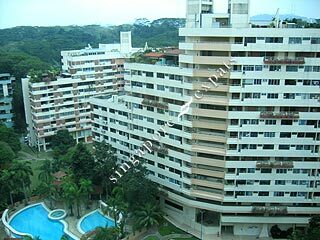 Pandan Valley was built in 1979 with some units being refurbished and renovated by the owners. There is a bus service where the Express executive green bus goes into estate and takes expats to the Shenton Way. It is also close to Holland Village. Residents can also enjoy the string of retail shops within the development. The compound is spacious and is a great place for children’s activities. There is also a shuttle to Buona Vista MRT Station everyday. Love the estate and facilities, even though gym has no aircon but it does not hurt to sweat it out!